The day after resigning in a drawn position, I did the other thing. I accepted a draw in a won position. 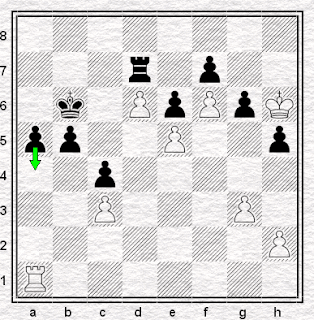 Horton-Salles, Sitges 2015 round eight, position after Black's 44th. 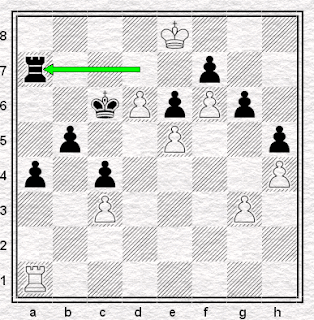 Not only that, but a couple of moves beforehand, I managed to offer a draw in a won position. 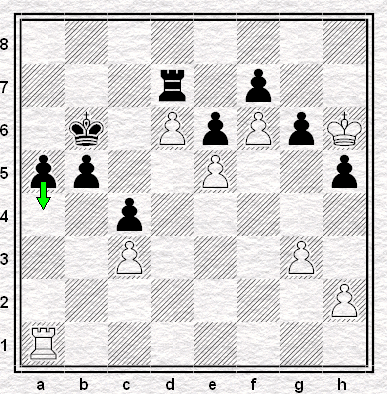 Horton-Salles, Sitges 2015 round eight, position after White's 42nd. As my opponent turned it down, he therefore refused the offer of a draw in a lost position. That's three versions of the same thing. Not bad eh? At least he had the consolation in the end of having offered a draw in a lost position and got away with it. Draw offers in drawn positions, though, we weren't having any of that. How did this nonsense occur? It was a mess of a game, though like pretty much all such games, a gripping one to play, and we could find plenty more nonsense anywhere we cared to look. But we'll pick up the action on move forty, at which point White has just, probably unwisely, exchanged off queens, and then equally unwisely set off on a round-the-houses trip with the king in order to try and generate some counter-action to offset Black's queenside pawns. I say "unwisely", though it should have turned out to be a winning blunder. 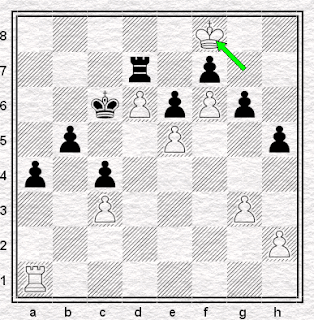 As the arrow indicates, Black played 40...a4, which I didn't understand at the time and don't understand now. 40...b4 seems obvious and seems to win, though it's not straightforward and I wouldn't be saying so if my computer hadn't told me first. For what it's worth my impression at the time - and I didn't have enough on the clock to go by much more than impressions - is that I was still quite likely losing and at any rate, fighting for a draw. he offered one himself. I didn't have much time to think about it, let alone carry out whatever assessment of the position, and what might or might not have changed about it, I might have been capable of, so I took the draw. I shouldn't have. I seem to be winning quite easily, basically because Black, in playing ...a4, has all but immobilised his pawns and I can move my rook around until his position cracks, e.g. with 45. Rd1 Rd7 46. Rd4 a3 47. Rd2 and Black hasn't got any moves left. Again, it didn't take me too long after the game to wonder if I'd done something foolish, albeit realisation didn't arrive quite so quickly as it had the day before. Nor was I quite so bothered as I'd been the day before. The half-point dropped doesn't seem so crushing when you've drawn rather than lost, even though the deficit and the degree of stupidity are just the same. Trautmann won't be writing any books called 128 Games Wrongly Agreed Drawn. So I checked, and duly found out that I had indeed thrown away a half-point. But it was only when sitting down to write this piece that it dawned on me (i.e. the computer told me) that I'd already tried to throw it away at move 42, because without realising it I had, at that point, already been winning. As far as I (i.e. it) can see, White can always pull the same stroke: just move the rook around (not randomly, obviously) until Black's forced to play ...a3 and then move the rook from d7 with the White rook on the d-file. 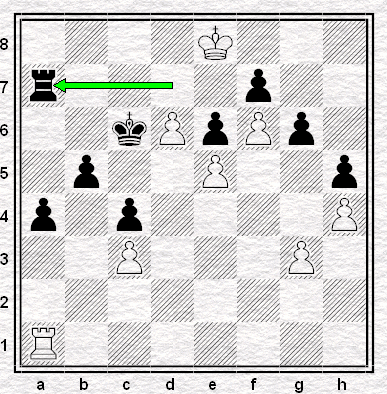 By extension, I think this must mean I was already winning once Black had pushed the a-pawn, had I only realised it. Ouch. ...a4 was Black's fortieth: if only we still had adjournments, eh?